Belmont University announced it Women’s History Month celebration with a number of campus-wide events. 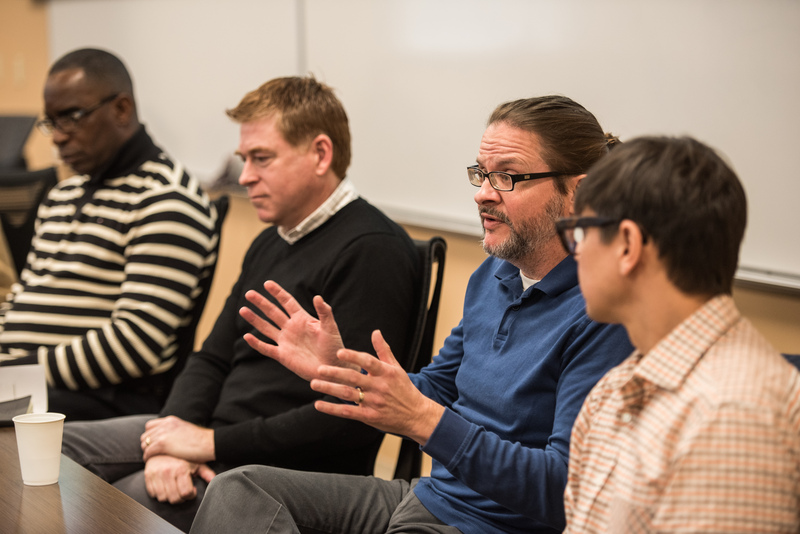 To kick-off the month, the university’s Women’s History Month Committee hosted “This is What a Feminist Looks Like: Men Feminists at Belmont University,” a panel of five male faculty and staff feminists that spoke to students. Made up of Professor of English Dr. Doug Murray, Telecommunications Services Manager Gary Hunter, Director of the Center for International Business Dr. Jeff Overby, Associate Professor of Religion Dr. Andy Watts and Associate Professor of Sociology Dr. Ken Spring, each panel member told the story of how they became a feminist and what identifying as a feminist means to them. For Murray, progressive feminist ideas were first introduced by a colleague in college who challenged his comments and opinions by saying, “You think you’re thinking, but you’re not really thinking.” After that realization, Murray said it was his dealings and love for literature that further expanded his thinking and has resulted in the feminist he identifies as today. Invisible War Screening and Discussion: On March 29 in the Bunch Multimedia Hall from 6 – 8 p.m.